A woman's beauty comes from the inside out. I've seen women who are, by the world's standards, gorgeous. But they are truly ugly women because of their heart. 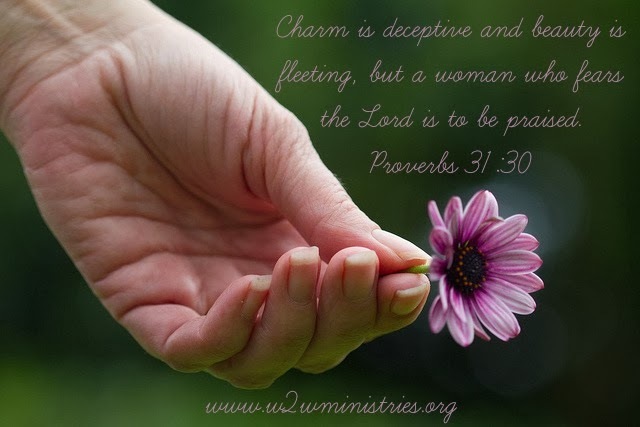 Yet I've seen women who are, by the world's standards, not the most gorgeous of women, yet they are simply stunning because of their heart and walk with God. Our relationship with God gives us a beauty from the inside out that only God can give. That is so true! Thanks for sharing this great verse full of wisdom! Thank you for stopping by beautiful woman of God! 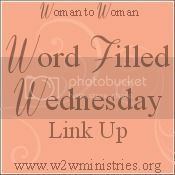 Thank you for the opportunity to link-up and for your thoughtful post. I so want to shine with the love of Jesus, that no one sees me, only Him. Anita, I too want Jesus to shine through me. Thanks for stopping by beautiful woman of God.